Many indicators of the nature of political competition illustrate the growing disconnect between political competition and the public interest. 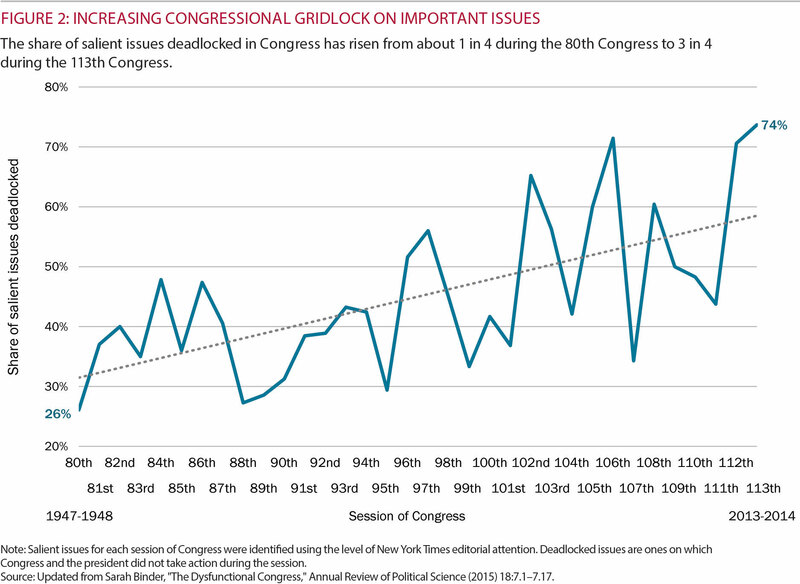 Highly salient policy matters, such as health care or immigration, remain stalled for years, bills become more complex, and one Congress punts the decision to the next (see Figure 2). 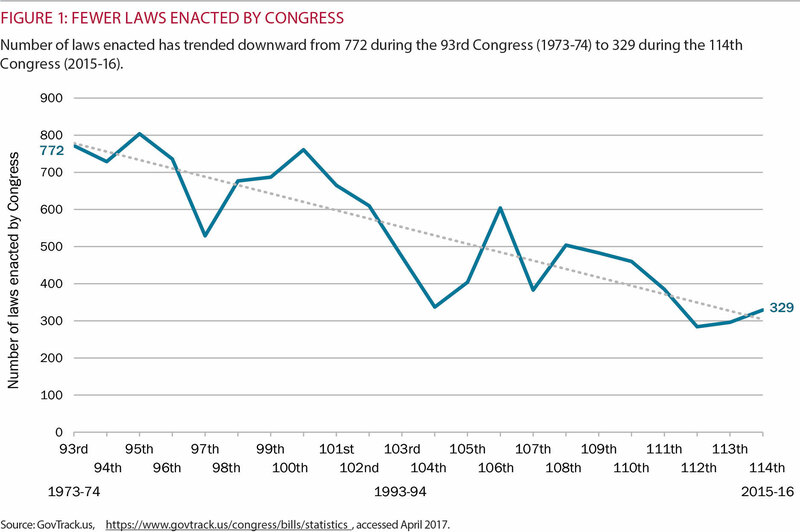 Other research suggests that major legislation is also declining. 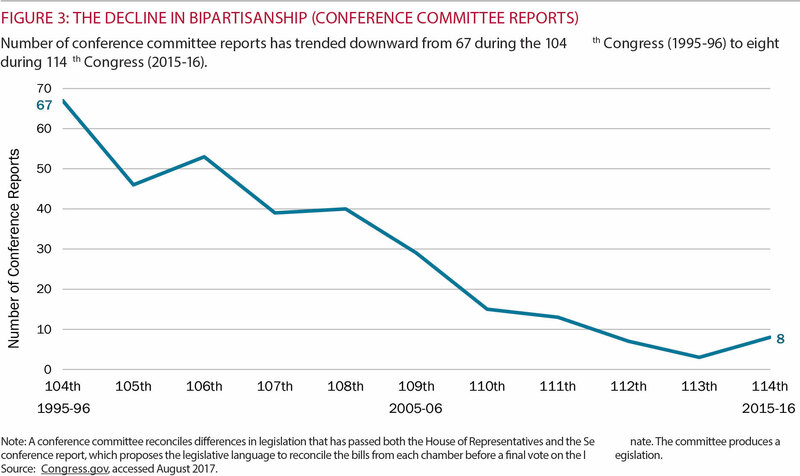 support for landmark legislation, and conference committees that are nearly extinct. Parties rarely invite each other to participate in reconciling differences. 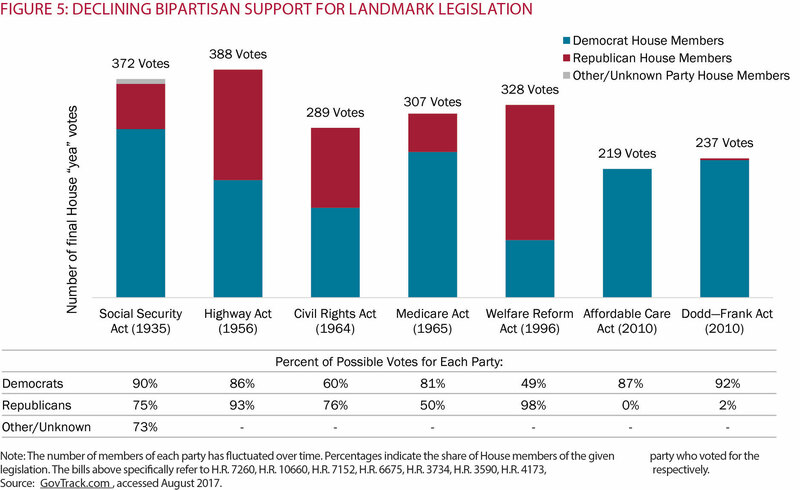 The party in power increasingly pushes through important legislation, with little or no support from the minority party. 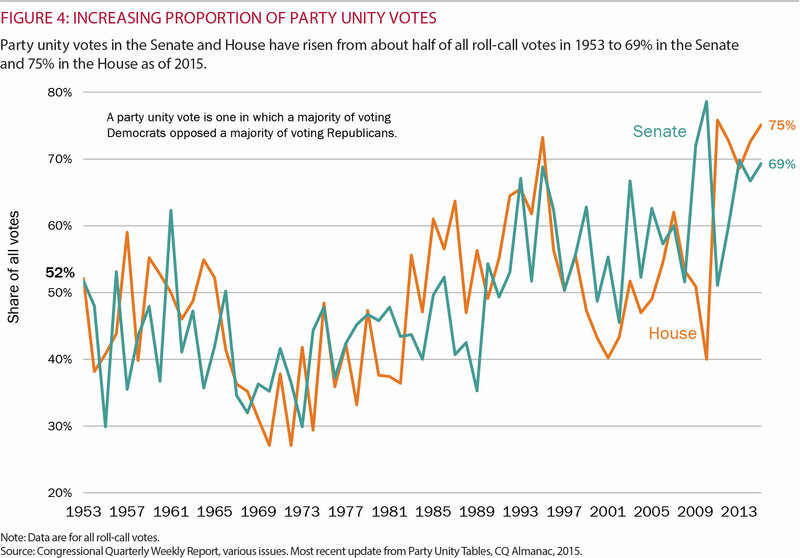 Lastly, the number of moderates in Congress has declined dramatically over the last several decades. 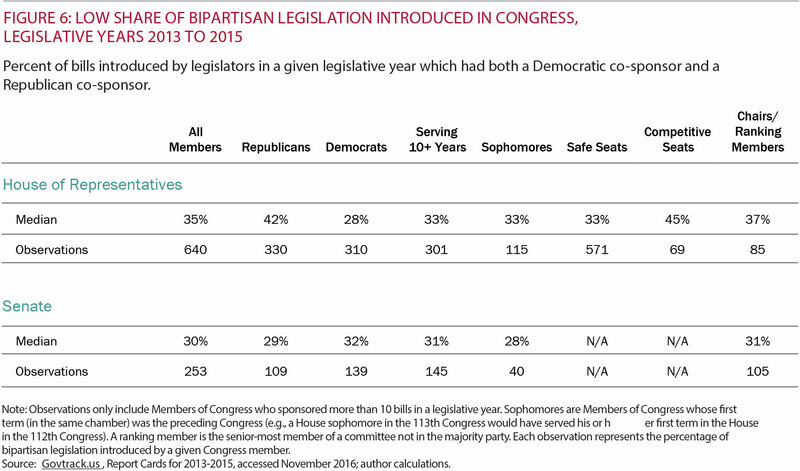 The basis for bipartisan compromise has eroded sharply. *The numbers are worse than they look here, because many of the laws that do get passed are not substantive—for example, post offices or anniversary commemorations.